Check out this spiffy graphic from Automotive News on the evolution of auto assembly in Mexico (Japanese automakers march into Mexico, set up export base, Mar 10). 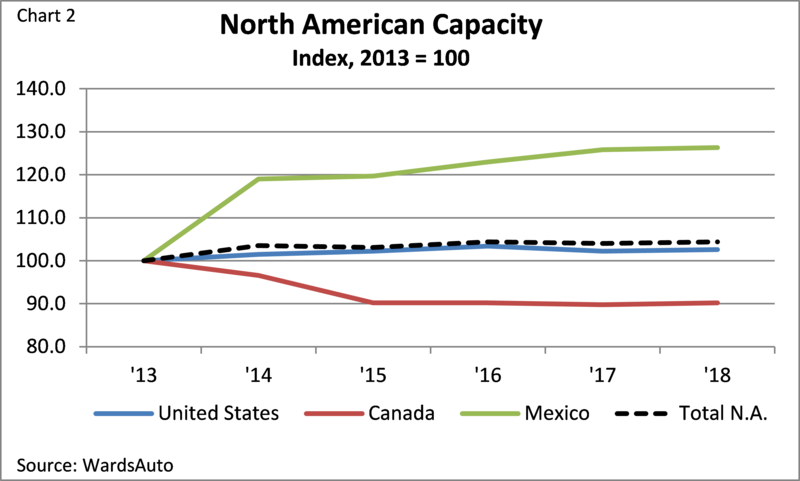 That expansion has to a large extent come at the expense of the rest of the North American industry as this graph from the Chicago Federal Reserve demonstrates. 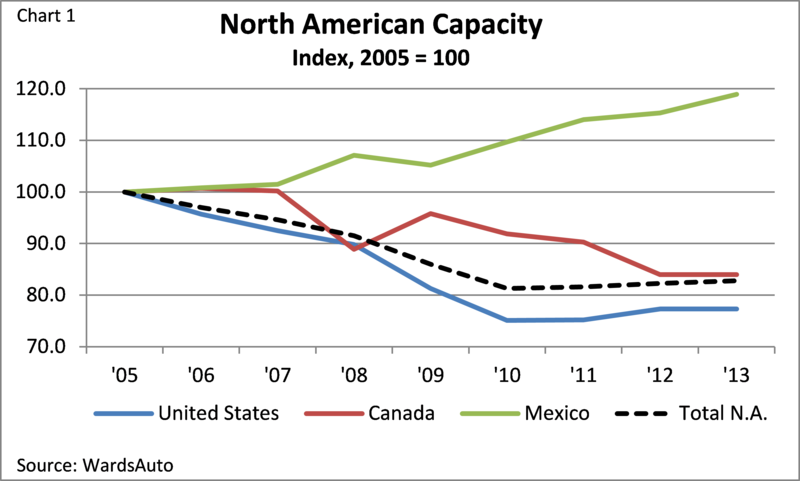 Note that overall assembly capacity has declined. That’s not too surprising. The industry was generally seen as being overcapacitated, and the Big Three took the never-let-a-crisis-go-to-waste route to reduce the number of factories and resize their business. But Mexico clearly gained and it is forecasted to gain even more. Here’s another graph from the Chicago Fed.